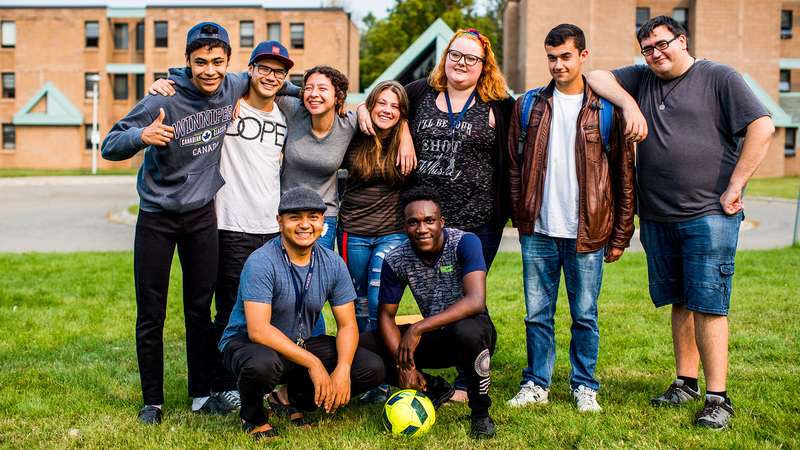 Our Residence Life Staff promote a social and supportive community with a strong emphasis on self-growth and development. They implement quality programming and encourage a safe environment with high community standards which reflect our diverse community. Becoming a Residence Advisor is a life changing experience! The skills gained in this position prepare student leaders for careers in almost every field. In joining Residence you have the chance to make living on campus what you want! We have many opportunities and variety of ways in which everyone can join and be part of it all! Confederation College Residence provides students with opportunity to become leaders amongst their peers. This opportunity is provided through the Residence Council. Residence Council serves a number of purposes in Residence and is committed to ensure a successful Residence Life Program. As volunteers, Residence Council members give back to the Residence community through continual programming and being active community participants. Each floor will have Floor Representatives who are anyone that wishes to be on Residence Council, just stop by the front office for more information. With various committees run by Floor Representatives who are internally elected committee chairs, Residence Council works with the Residence Life Staff to program towards the needs and wants of students in Residence. Residence Council also provides students living in Residence with a venue to voice their concerns in an open and welcoming environment where student input can be heard. The RA’s provide engaging events weekly for residents to participate in. They can range from running games and activities to taking exciting trips off campus to enjoy what the city has to offer. There are many resources available to you in residence and on campus. The residence website has a list of all resources available to you, including crisis lines, counselling centres, and friendly people you should talk to, like your RA or a residence manager. eCHUG: The Alcohol e-CheckUpToGo is an interactive web survey that allows students to enter information about their drinking patterns and receive feedback about their use of alcohol. The assessment takes about 6-7 minutes to complete, is self-guided, and requires no face-to-face contact time with a counselor or administrator. eTOKE: The Marijuana e-CheckUpToGo is a marijuana-specific brief assessment and feedback tool designed to reduce marijuana use among students. The assessment takes about 10-15 minutes to complete, is self-guided, and requires no face-to-face contact time with a counselor or administrator.